Former Card Connection Regional Sales Manager, Penny Ellis and her husband Colin, invested in the Card Connection Windsor/Reading territory in 2017. 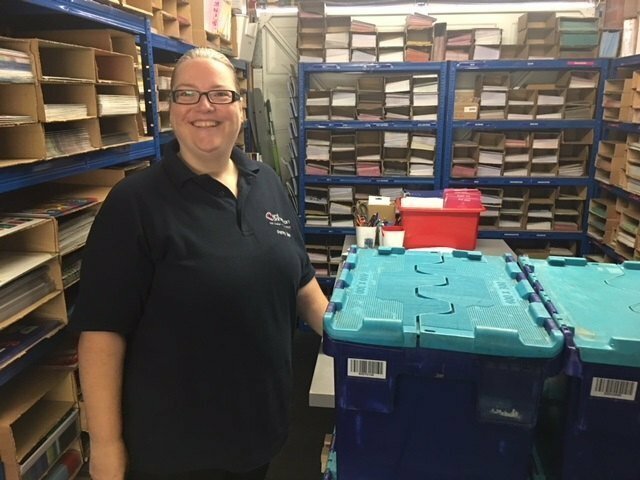 With Penny’s wide-ranging industry knowledge, they now deliver Card Connection’s extensive range of quality greeting cards, gift wrap, bags and accessories to retail outlets throughout their region. Prior to joining Card Connection in 2013, Penny spent 6 years working as Area Manager for Cardies, the specialist Franchise Greeting Card Retailer in South Africa and a further 2 years for South African Greetings. So she certainly knows everything the industry has to offer! When Colin & Penny bought their Card Connection territory in September 2017 it was one of the busiest times of the year for greeting card sales. However, with their previous experience, they were quickly able to optimise the opportunity this franchise could bring. Colin & Penny describe themselves as “real people people”, who as small business owners have lots in common with the retail managers. They have used their skills and knowledge to build relationships quickly with key accounts to manage a seamless handover of the territory.